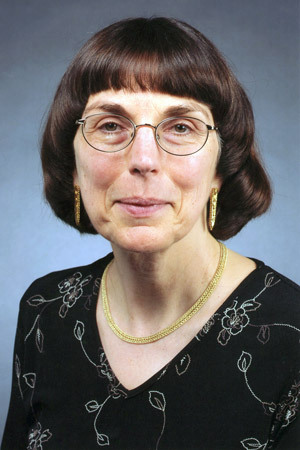 Marylou Gelfer’s research interests center on the voice and voice disorders. Much of her research has been devoted to establishing normative data for various vocal parameters (fundamental frequency, intensity, laryngeal quality) and procedures for valid and reliable acoustic measurement. Gelfer’s expertise in the acoustic characteristics of voice led her to an interest in the voices transgendered individuals, and acoustic cues for male vs. female voice quality. Current research directions include continued development of reliable voice evaluation procedures, as well as assessing the outcomes of voice therapy. Gelfer, M. P., & Denor, S. L. (2014). Speaking fundamental frequency and its variation in African-American and caucasian school-age children. American Journal of Speech-Language Pathology, 23(3), 395-406. Gelfer, M. P., & Bennett, Q. E. (2013). Speaking Fundamental Frequency and Vowel Formant Frequencies: Effects on Perception of Gender. Journal of Voice, 27, 556-566. Gelfer, M. P., & Van Dong, B. R. (2013). A preliminary study on the use of vocal function exercises to improve voice in male-to-female transgender clients. Journal of Voice, 27(3), 321-334. Gelfer, M. P., & Tice, R. M. (2013). Perceptual and acoustic outcomes of voice therapy for male-to-female transgender individuals immediately following therapy and fifteen months later. Journal of Voice, 27(3), 335-347. Hirsch, S., & Gelfer, M. P. (2012). Chapter 10: Resonance. Adler, R. K., Hirsch, S., & Mordaunt, M. (Eds.). 2nd, pp 225-247. Gelfer, M. P., & Mordaunt, M. (2012). Chapter 9: Pitch and Intonation. Adler, R. K., Hirsch, S., & Mordaunt, M. (Eds.). "Voice and communication therapy for the transgender/transexual client: A comprehensive clinical guide — Second edition", 2nd, pp 187-223. Gelfer, M. P., & Pazera, J. F. (2006). Maximum duration of sustained /s/ and /z/ and the s/z ratio with controlled intensity. Journal of Voice, 20(3), 369-379. Gelfer, M. P., & Mikos, V. A. (2005). The relative contributions of speaking fundamental frequency and formant frequencies to gender identification based on isolated vowels. Journal of Voice, 19(4), 544-554.
g, M. P., & Schofield, K. J. (2000). Comparison of acoustic and perceptual measures of voice in male-to-female transsexuals perceived as female vs. those perceived as male. Journal of Voice, 14(1), 22-33. Hollien, H., Bahr, R., Bishop, J., & Gelfer, M. P. (1999). Near-field speech intelligibility in CBW masks. Military Medicine, 164, 543-550. Orlikoff, R. F., Dembrowski, J., Fitch, J., Gelfer, M. P., Gerrat, B. R., Haskell, J. A., Kreiman, J., Metz, D. E., Schiavetti, N., Watson, B. C., & Wolfe, V. (1999). Round table discussion: The perceived role of voice perception in clinical practice. Phonoscope, 2(2), 87-106. Gelfer, M. P. (1999). Voice therapy for the male-to-female transgendered client. American Journal of Speech-Language Pathology, 8, 201-208. Gelfer, M. P. (1998). Voice therapy for transgendered clients. The Communication Connection, 12, 12-13. Gelfer, M. P. (1998). Review of M. Tomasello and W. Merriman’s beyond the names for things. CL-76, 21-22. The Phonetician. Gelfer, M. P., & Young, S. R. (1997). Comparisons of intensity measures and their stability in male and female speakers. Journal of Voice, 11(2), 178-186. Gelfer, M. P., & Denor, S. S. (2013). Conversational Intensity in Caucasian and African-American School-Age Children. 2013 American Speech-Language-Hearing Association Convention, Chicago, IL. Clayton, A., LaBar, H., & Gelfer, M. P. (February 2011). Long-Term Outcomes of Voice Therapy for Male-to-Female Transgender Individuals. The meeting of the Wisconsin Speech-Language Pathology and Audiology Association, Stevens Point, WI. Gelfer, M. P. (April 2010). Current Research in Voice and Resonance Treatment for the Male-to-Female Transgender Client: Long-Term Treatment Outcomes. International Federation of Gender Education Conference, Alexandria, Virginia. Mayer, R., & Gelfer, M. P. (2008). Outcomes of Voice Therapy for Male-to-Female Transgendered Individuals. 2008 American Speech-Language-Hearing Association Convention, Chicago, IL. Bauer, J. J., Gelfer, M. P., & Bashford, J. (2007). Pitch Perception Ability in Modifying Compensatory Voice F0 Responses During Sustained Vowel Productions. 154th meeting of the Acoustical Society of America, New Orleans, LA. Gelfer, M. P. (October 2006). 2006 WSHA-P Student Weekend, Parent’s Perspective on Disabilities, . Willis, K., & Gelfer, M. P. (November 2004). Acoustic Predictors of the Functional Impact of Voice Disorders. 2004 American Speech-Language-Hearing Association Convention, Philadelphia, PA.
Gelfer, M. P. (October 2002). Improving Communication for Laryngectomees. Laryngectomy Support Group, Milwaukee, WI. Mikos, V., & Gelfer, M. P. (November 2001). Contributions of Speaking Fundamental and Formant Frequencies to Gender Identification. 2001 American Speech-Language-Hearing Association Convention, New Orleans, LA. Gelfer, M. P. (June 2000). Voice Improvement and Vocal Hygiene for the Professional Voice Use. ISHA-WSHA – IlSHA Tri-State Meeting, Galena, Illinois. Gelfer, M. P. (June 2000). Voice Therapy for the Male-to-Female Transsexual. ISHA-WSHA – IlSHA Tri-State Meeting, Galena, Illinois. Gelfer, M. P. (November 1999). Achieving a Feminine Voice. The meeting of the Mid-America Gender Group Information and Education’s Fall Harvest Conference, Milwaukee, Wisconsin. Gelfer, M. P. (June 1999). Voice Therapy in Spasmodic Dysphonia. Milwaukee Area Spasmodic Dysphonia Support Group, Milwaukee, WI. Gelfer, M. P. (February 1999). Voice Therapy for the Male-to-Female Transsexual. 1999 Wisconsin Speech-Language-Hearing Association Convention, Madison, WI. Gelfer, M. P., & Schofield, K. J. (November 1998). Voice Characteristics of Male-to-Female Transsexuals. 1998 American Speech-Language-Hearing Annual Convention, San Antonio, Texas. Leadership Award (2016) College of Health Sciences, University of Wisconsin-Milwaukee. Leadership Award (2015) College of Health Sciences, University of Wisconsin-Milwaukee. Byoung Kim Teaching Excellence Award (2014) Presented by the students of the College of Health Sciences, University of Wisconsin-Milwaukee. Wisconsin’s 2011 Nominee for the American Speech-Language-Hearing Association’s Frank R. Kleffner Lifetime Clinical Career Award (2011, February) Presented by the Wisconsin Speech-Language Pathology and Audiology Professional Association. Golden Apple Award for Distinguished Teaching (2003) Presented by the students of the College of Health Sciences, University of Wisconsin-Milwaukee. Award for Continuing Education (1993) American Speech-Language-Hearing Association. Associate Member (1984) Sigma Xi. Exceptional Child Educator of the Year (1978) Council for Exceptional Children, Marion County Chapter. Graduate Honors (1976) Department of Speech Pathology, Northwestern University. Honorary Speech Fraternitiy (1975) Zeta Phi Eta. Scholarship based on Academic Merit for work on M.A. (1975) Northwestern University.